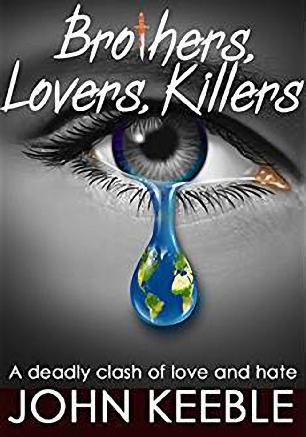 Brothers, Lovers, Killers started as a great chase thriller across my favourite places in Southeast Asia and southern England. But then, as I wrote, it deepened into a real story of relationships, cultural ideas and the way perceptions empower or shackle our lives. A battle for hearts, minds and life itself, where everything is at stake in a deadly chase across the world. Clever Pan, treacherous Paul, dreamer Tenny, sweet ambitious Madeleine, innocent Pri and strange and capable Louise … who will survive in this tense romantic thriller that spans England, America, Africa and Southeast Asia? 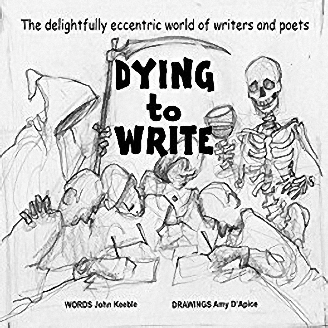 Dying to Write is not entirely fiction. Writing critique groups are very good for authors … most of the time. I was sitting through a less than kind session with one group when the idea for this satire hit my brain like a well-aimed barb. Everyone loved the book Except a few writers who wanted to kill me. Automatically Better is unusual. 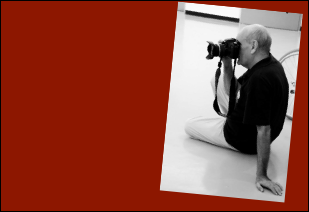 It’s a photography ‘how-to’ that empowers you with ideas rather than equipment. 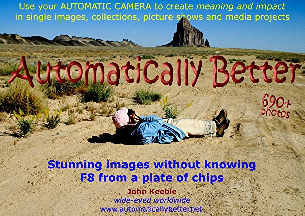 I now run workshops using the book for those with compact, phone and auto SLR cameras. You can take heart melting and artistic images with your automatic camera without any technical knowledge The real beauty of photography is in your mind and your eye. Articles: I never get round to keeping clippings, paper of electronic, but you can see some of what I have written in recent years by googling ‘John Keeble’ and any of the following: journalist, animals, expat writers, vegan, dogs, earthquake. One, far from the serious articles, amuses me. It reports going downhill fast. Photographs: My photo-journalism images have been used wides. They include the supermoon rising over Cuenca’s iconic cathedral domes. The best fronted the city’s tourism efforts and a selection went viral on Facebook with 3,300 shares. Photographs from the Ecuador earthquake were used on The Guardian website and about 3,400 Facebook shares. TV film and videography: I spent three years working on an undercover investigation of the Thailand dog meat industry. Reports from the investigation and the TV film helped cut the cruelty dramatically. See trailer. Full film: Netflix.